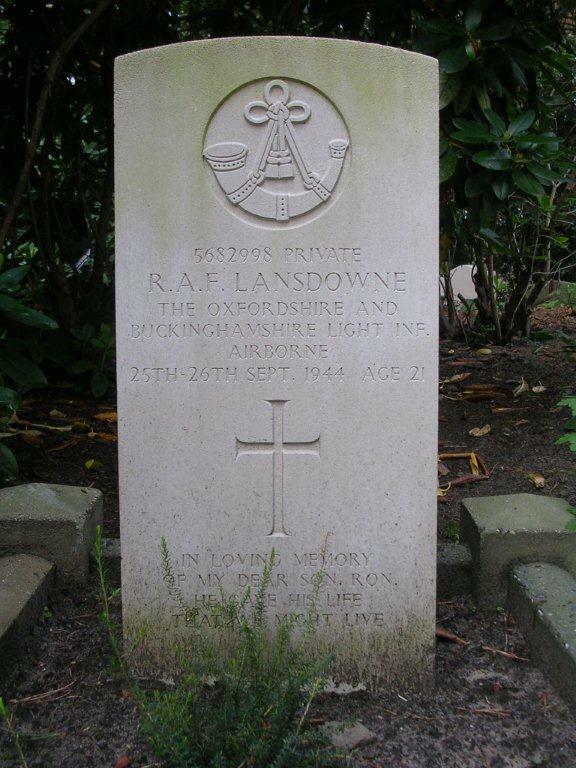 The Battle of Arnhem and the subsequent defence of the Oosterbeek Perimeter have passed into legend and the subject of numerous books and films, meaning that the story of the Operation is quite well known by most who have an interest in military history, what is probably less known is the contribution of the regiment in Operation Market Garden. 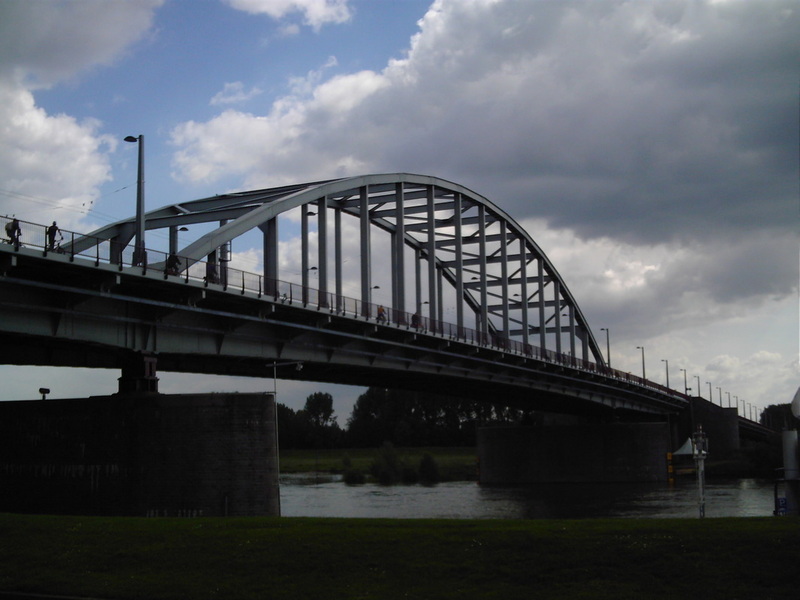 The objectives of the 1st Airborne Division were to capture and hold the bridges over the river Rhine at Arnhem, however in the end only a force slightly over battalion strength managed to reach and hold the northern approaches to the Road Bridge. 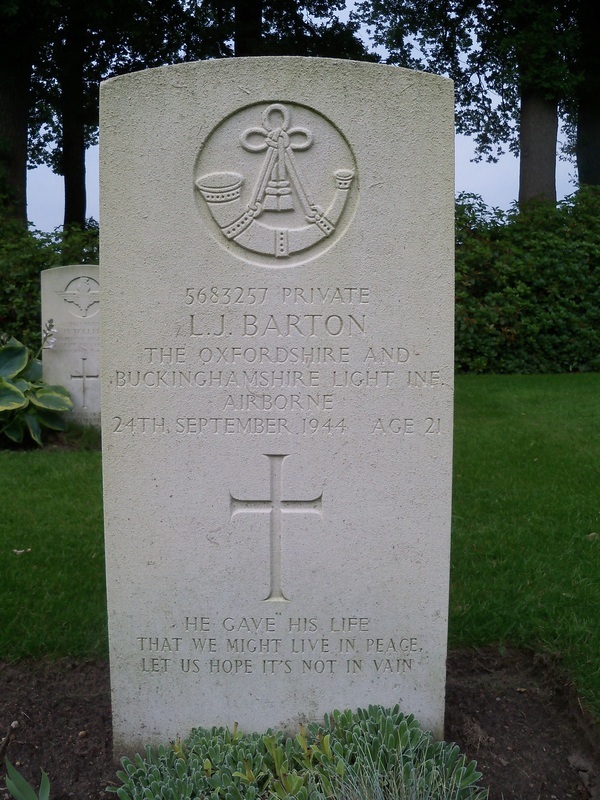 Only the Second Parachute Battalion (less C company who were separated in the town), reinforced by part of 1st Para Brigade HQ, members of 1 and 3 Parachute Battalions and some attached arms personnel actually reached the objective. Among the Officers of the 2nd Parachute Battalion were some ex Ox & Bucks officers, the Battalion Second in Command Major David Wallis had served with 4OBLI, while A Company was commanded by Major Digby Tatham-Warter (ex 52nd) who took over as battalion 2ic when Major Wallis was killed. When training his Company in the UK and remembering his Light Infantry roots, Major Tatham-Warter concerned about the effectiveness of radios had set up a system of using Bugles to send signals within his company that were used to good effect on the march to the bridge and in its defence. After the withdrawal of the remnants of the Division across the Rhine at the end of the battle Tatham-Warter was involved in organising many of the evading Airborne troops left behind to get back to Allied lines in “Operation Pegasus”. 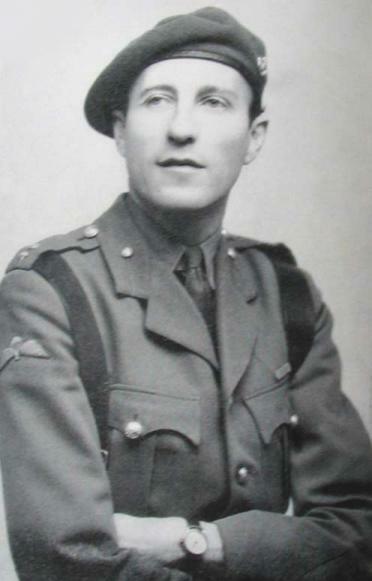 The umbrella wielding officer in the film “A Bridge Too Far” is based on Major Tatham-Warter who carried his umbrella because he could not remember the password. 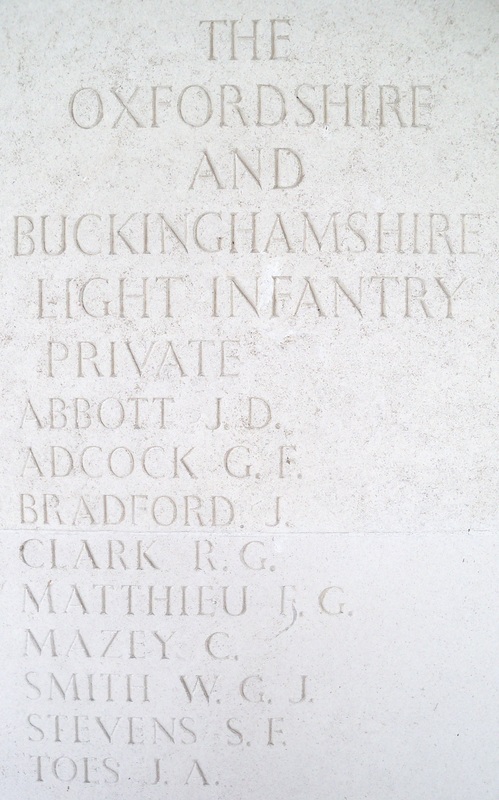 Also in A Company was Lt John (Jack) Grayburn (ex 43rd) who was to win a posthumous Victoria Cross at the bridge. the southern end. Lt. Grayburn was wounded in the shoulder almost immediately, but he directed and pressed the assault until casualties became so heavy that he was ordered to withdraw. Later, he successfully organized the occupation of a house vital to the defence of the bridge. Although heavily attacked throughout the next day and night, thanks to Lt. Grayburn's courage, leadership, and skill in disposing his men, the house was held until it was set on fire on September 19th, and had to be evacuated. 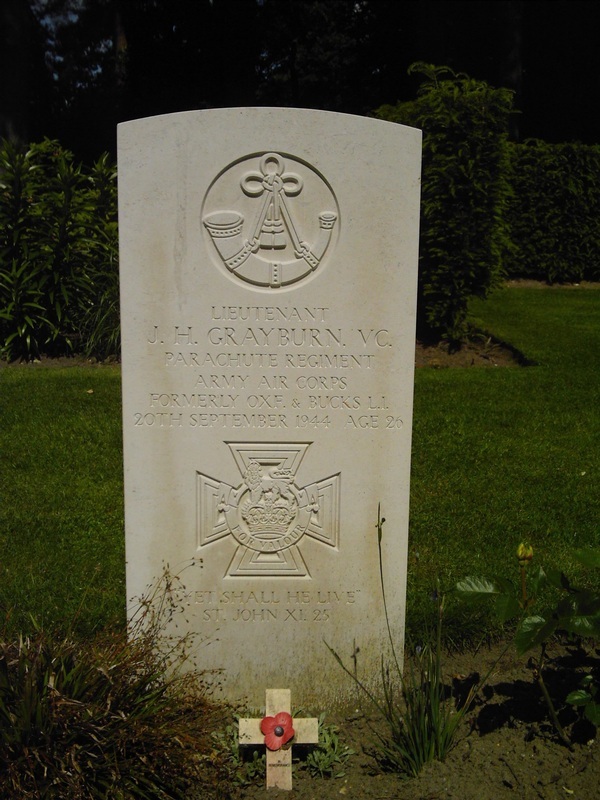 Lt. Grayburn then formed a fighting force of elements of all arms, including the remainder of his company. Although wounded again, this time in the back, he refused to be evacuated. When tank attacks, against which he had no defence, finally forced his retreat on September 20th, he stood up in full view of the enemy, and directed the withdrawal of his men to the main defensive perimeter. He was killed that night. For nearly four days, despite pain and weakness from his wounds, shortage of food and lack of sleep, Lt. Grayburn displayed supreme and unflagging gallantry and determination. Without his inspiring leadership the Arnhem bridge could not have been held for so long. The regiment was also represented at Headquarters, 1st Parachute Brigade, by its Commander Brigadier Gerald Lathbury, formerly of the 43rd and in the 1st Airlanding Brigade the Brigade Staff Captain, Captain Edward Moy-Thomas from the 52nd and the GSO3 (Deputy Assistant Adjutant & Quartermaster) Captain Donald Hotham Robson also ex 52nd. The regiment was also represented at Headquarters, 1st Parachute Brigade, by its Commander Brigadier Gerald Lathbury, formerly of the 43rd and the Brigade Staff Captain, Captain Edward Moy-Thomas from the 52nd. Captain Moy-Thomas was killed during the action. Originally the 52nd had formed part of 1st Airlanding Brigade of the 1st British Airborne Division and at that time were tasked with providing the Divisional Defence Platoon. This they continued to do when the 52nd were transferred to the 6th Airlanding Brigade on the formation of the 6th British Airborne Division in 1943. By the time of the Battle of Arnhem in September 1944 the Divisional Defence Platoon although by now slightly watered down by the inclusion of men of other units and commanded by a Parachute Regiment officer was still in the main made up of men of the 52nd. During the defence of the Oosterbeek perimeter to where 1st Airborne Division withdrew after it had been cut to pieces trying to get to the famous “Bridge Too far” the Divisional Defence Platoon was engaged in the defence of the Hartenstein Hotel which had become the Divisional Headquarters. Eventually after fighting solidly for nine days the remnants of the Division were withdrawn across the Rhine. Defence Platoon, Headquarters 1st Airborne Division. POW = Prisoner of war. RAR = Returned across river. DOW = Died of wounds. WIA = Wounded in action. This list was compiled by Mr R.P “Bob” Hilton, with the assistance of the following; Diana Andrews, Allan Brown & Andrew Blacklock all of the Parachute Regiment & Airborne Forces Museum Aldershot. 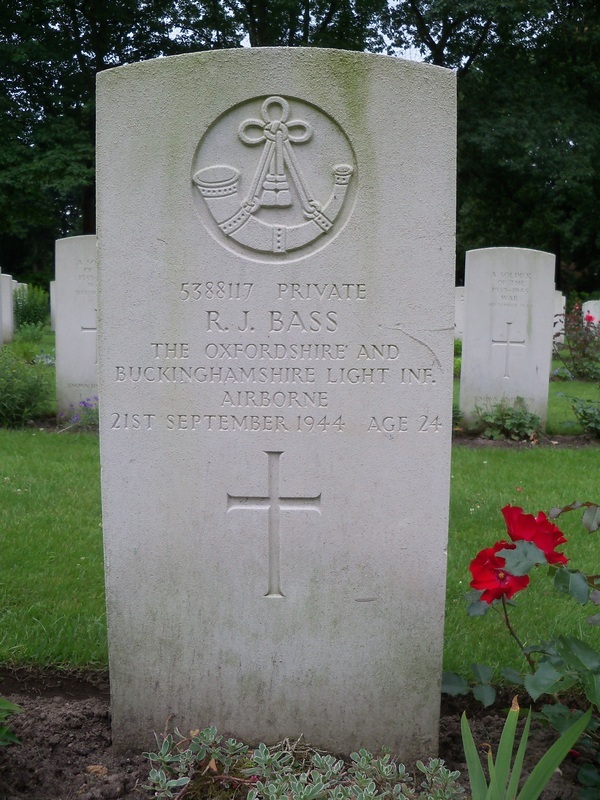 5682998 Lansdowne, Ronald A F, Pte, 1st Airborne Division Defence Platoon, 25-26/09/44, buried Ameersfoort, 13-B-l.
Also serving at Divisional Headquarters was the Assistant Provost Marshal Major O P Haig who was an officer of the Oxfordshire & Buckinghamshire Light Infantry. THIS is only a short account of my own experiences at Arnhem and so only deals with a small part of the battle. I was with part of the Parachute element of Divisional HQ. and we were detailed to drop on D plus one (September 18th, 1944), our dropping zone being about six miles to the west of Arnhem and just north of the river. As the main landings had been carried out the previous day the Boche had started to react and we ran into a curtain of flak over a wood on the way in and three planes were shot down. We landed in the right place but found we were under fire, not heavy, but sufficient to be unpleasant, perhaps because we hadn't had time to get acclimatized. It turned out to be some S.S. youngsters who were doing the shooting and they soon shut up when they saw the form. Well, that all took a bit of sorting out and it was not until later on in the evening that I managed to make my way to Divisional HQ. which was about three miles nearer the town. On the way up we passed the remains of the German area commander half out of his car; whoever shot him up had made certain of him. I believe he was a major-general. I found the rest of my party, who had arrived the previous day by glider, intact including the jeep, but at this time the general was missing and "Pip" Hicks of the Air Landing Brigade was running the show. There were quite a few prisoners coming in; about 120 at that time. There wasn't any­where much to keep them though we put them on some hard tennis courts surrounded by the usual sort of wire netting. They were a pretty mixed bag of S.S. and Wehrmacht; their ages ranged from 17 to 20, then a gap up to 40. One S.S. officer, who turned out to be the Kaiser's valet, was 56. We also collected 4 women; one was an A.T.S. or whatever the Boche equivalent may be. She washed the socks and did a bit of cooking and in her spare time made herself a blouse out of para­chute silk obtained from the reserve supply drop. These domestic arrangements we found rather complicated, but this was left for the Polish interpreter to deal with. The weather on the whole was not good, and the Polish Parachute Brigade, which should have turned up on the third day, could not take off. They finally dropped on the south side of the river on the fourth day and were immediately involved in a battle, and all efforts to get them across the river seemed fruitless and in the end only a very few were got across. The reserve supply also broke down. In the first place on account of the weather and secondly due to the concentration of flak and the very limited area left to them in which to drop. Nevertheless they put up a wonderful show and although towards the end most of it went to the Boche, we did get a bit. As time passed things became rather unpleasant as the enemy produced more men and equipment, including tanks, Sp guns and flame throwers, all of which were difficult for us to deal with. We had on the other hand by this time artillery support from the south side of the river, which really saved our skins. Mortaring and shelling became very heavy. Air Landing Brigade HQ. got an unlucky hit by a "moaning minnie" which went in the door and killed some of the staff, including Moy Thomas. I stopped a piece of a mortar which burst in a tree while I was digging out my trench on the last day but one. By D plus 8 we were in not too good shape. Certain types of ammunition had run out and no rations had been issued for three days, water had to be carried from a well. The water was dirty and the excursion dangerous. At 1500 hrs on September 26th, 1944, we were ordered to withdraw across the river that same night. The withdrawal itself was a bit tricky as we held barely a thousand yards of the river bank and the last few hundred yards were very exposed. The thing was only made possible by the fact that two companies of the Dorsets had managed to get over to the north side during the previous night and their efforts together with a terrific barrage kept the Boche busy. It was a dirty wet night which was in our favour too. At this point the river is about 150 yards across and there were some Canadian sappers from 43rd Division working some boats. Having crossed the river we made our way Nijmegen, the first 5 or 6 miles on foot, then by Duck and finally by lorry, arriving in the early hours of the morning of September 27th. After spending a couple of nights there we were whistled back to Louvain and flown home from Brussels Airport on the afternoon of September 30th, the whole party having lasted just a fortnight. 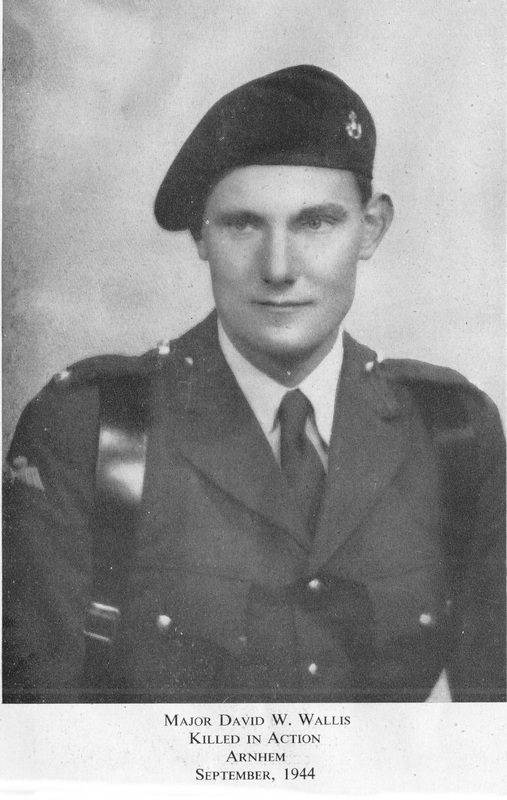 Lt Herbert David Eastwood formerly of the 52nd.